I’ve arranged my very first book signing. Its with Waterstones at their Richmond upon Thames branch on Saturday 28th January from 12 to 3. I’ve had some posters printed for the event. I’ve also joined the Goodreads community, although I had a problem trying to join their Author Program. 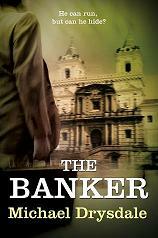 The Banker wasn’t on their database so I tried to import it from Amazon but the import program didn’t seem to work.